Ageing occurs when the energy producing components of the cell deteriorate, resulting in reduced cellular metabolic activity. When accumulation of cellular debris, and the eventual death of the cell. 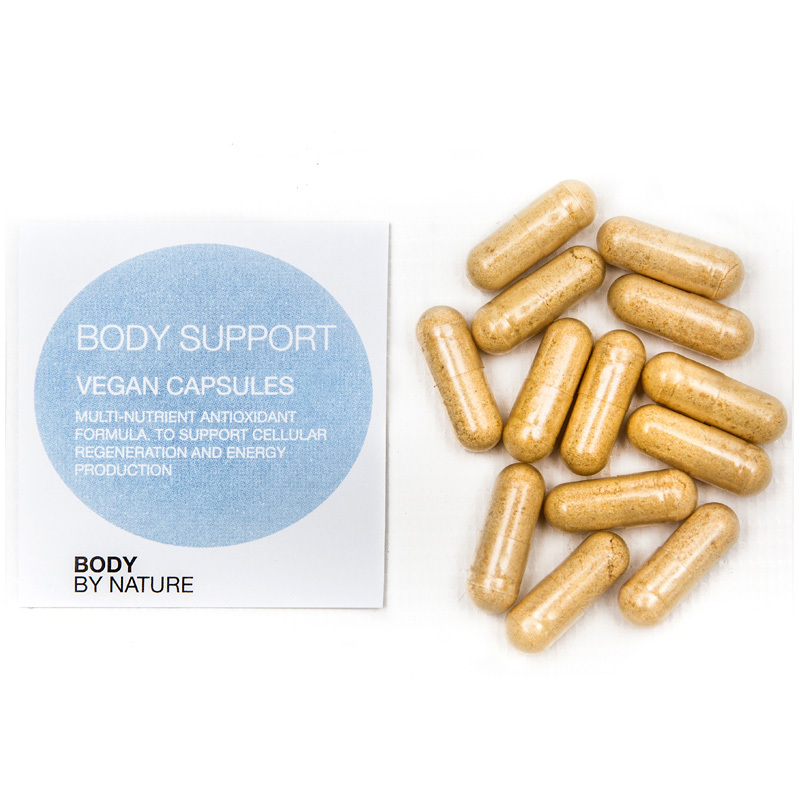 All the components of this product support and raise the metabolic activity of the cells keeping the cells active and vital. This revolutionary product will help prevent deficiencies brought about through imbalances in your diet and to delay the ageing process. Ageing occurs when the energy components of a cell deteriorates resulting in reduced cellularmetabolic activity and eventual death of the cell.The formula in this product will support and raise the metabolic activity of the cells and keep them active and vital. Acetyl L-Carnitine is one of the body’s most valuable amino-acids, providing essential support for fat-busting and energy-making processes in a healthy body. The way acetyl-L-carnitine works with your mitochondria helps your body metabolise fat. Thanks to its energy supporting benefits it’s popular with people who have an active and youthful lifestyle. Alpha-lipoic acid is a naturally occurring vitamin-like nutrient that has been intensely investigated as a therapeutic agent for a variety of conditions involving the body’s nervous, cardiovascular, immune, and detoxification systems.It is used by the body to metabolise food and for energy production. Works with other nutrients such as vitamins C & E to defend against free radicals. Known as NAC, a sulphur-containing amino acid that acts as a stabiliser for the formation of protein structures, and is also necessary for the formation of glutathione. Molybdenum and Selenium are essential trace minerals that facilitate the production of several important enzymes. Rosemary contains flavonoids which are anti-inflammatory, and a lipid-soluble antioxidant. These flavonoids also reduce platelet stickiness and improve vascular health. It is a super-antioxidant that fights inflammation in the body, detoxifies the body, offers liver support and plays a major role in boosting the immune system. The active component of Gingko Bilbao is Gingkolide. Gingko also has the ability to improve peripheral and brain circulation making it vital for the slowing of memory loss. Produced in small amounts within the body, CoQ10 (co-enzyme Q10) is a vitamin-like nutrient involved in the production of ATP, the primary source of cellular energy for use throughout the body. The heart muscle needs and uses CoQ10 as it is permanently active and it is important to ensure it’s intake as we get older to support the heart muscle. It is even more necessary for those taking statin medication, as these drugs can inhibit the availability of CoQ10 from natural sources. N-acetyl L-carnitine hydrochloride, alpha lipoic acid, capsule shell (vegetable cellulose), N-acetyl L-cysteine, coenzyme Q10, gingko biloba, rosemary, silicon dioxide. This product is not recommended for children, or for pregnant or lactating women.